Do I spoil you or do I spoil you? 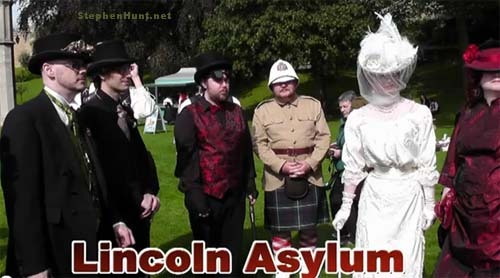 The Asylum SteamPunk Festival 2011 was recently held in Robin Hood’s neck of the woods again, in Lincoln. The event, which ran over the weekend of 9th-11th of Sept 2011, was the biggest SteamPunk Festival in Europe. Here’s some footage from the show, and if that’s too much for you, there’s also a Steampunk Lincoln cartoon after the event video. Yes, fear the… Emancipator!